Another store at Mondawmin Mall is closing. 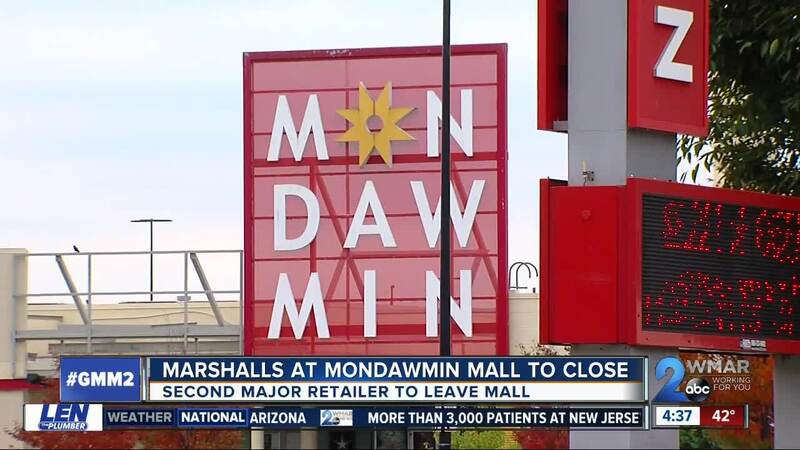 BALTIMORE — Another store at Mondawmin Mall is closing. Marshalls' final day of business is set for January 12. The company that owns the store says it's always assessing and reviewing business strategies and the decision to close this store reflects that thinking. The store opened at the mall in 2011 and it's now the second major retailer to leave the mall. Target closed down earlier this year in February. Marshalls has two other locations in Baltimore, one downtown on East Pratt Street and another on Reisterstown Road in Northwest Baltimore.